After 37 weeks of pregnancy, I’ve gotten pretty good at researching why I am craving what, and then adjusting with a healthy choice, so my body can get what it needs. After my latest unexplained, week long, obsession with cheese, I realized this would be a good topic to pass on. 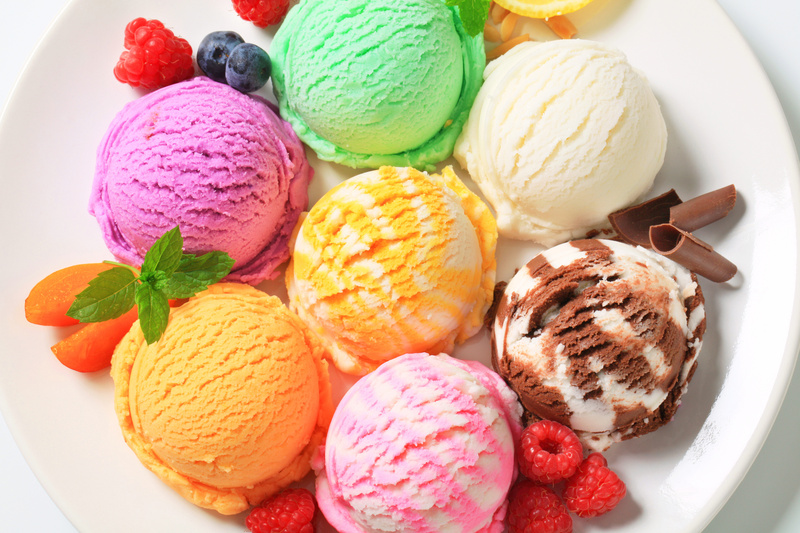 Many of us attribute these cravings to poor self-control. This is when guilt, anger and disappointment with ourselves creep up, when in fact, there is a lot of science behind it, and not nearly as much “fault”. 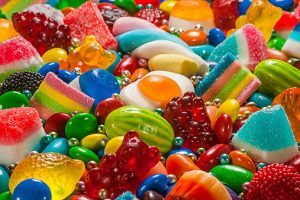 A craving is the body communicating to the brain that we’re deficient in certain nutrients, even if the foods we’re craving are generally categorized as being “bad” for us. Instead of asking why you “can’t do this” how about asking some questions about your body? Why does it need it? What can I do to fill this need? 1) Chocolate. Okay there is no way you are surprised that this is at the top of the list. It came up on EVERY site, book, article, etc. I went over. The struggle is real! So what does it mean? There were two common themes. The first, was that you are very likely lacking an important macro-mineral called magnesium. In this case, it is simple, just get more magnesium. 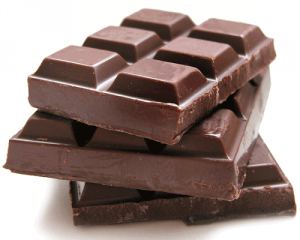 This might include legumes, raw nuts and seeds, 85% cocoa dark chocolate, leafy greens and whole grains. The second, was actually emotional, and may point to the fact that you are under-eating, or are on a mentally restricting diet, that isn’t meant for long term sustainability. That is one reason I like the 21 Day Fix, there is a spot for chocolate, wine, or other small treats in moderation, so that people never feel like they “can’t” have something. It might be time to take a more realistic approach to your food! 2) Breads and Pastas: I hear from people that they are addicted to “carbs” and that doesn’t usually mean high quality sweet potatoes and quinoa =P They usually are speaking about the refined carbs like fluffy white bread or pastas. This can be either a deficiency OR an overuse issue. If these are cravings you just can’t shake, it could be a low estrogen and progesterone issue, like right before your period, which has you looking for the sugar in these carbs, or a nitrogen imbalance. Those are both things you can fix by supplementing in your diet. You can add nuts, veggies, or high quality, veggie based proteins, like the Vegan Shakeology, to improve these imbalances. 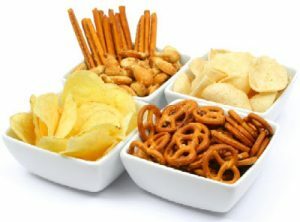 The overuse issue is simply that you’ve relied on these processed carbs for so long, that your body has grown particular bacteria, that is now asking for, well more like demanding, more fuel. You have probably heard candidia yeast at some point. 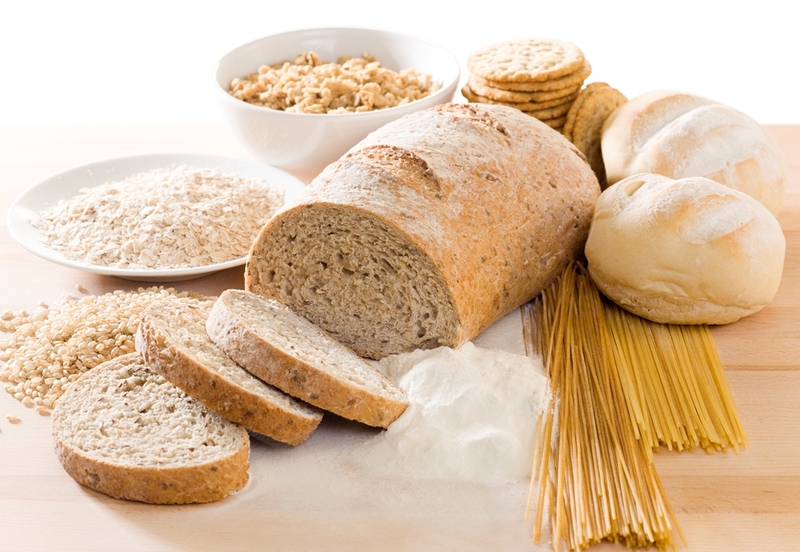 The more breads and pastas you eat, the more grows in your system. The more that grows in your system, the more that you want! I have found a short, 3 Day Refresh, is a great way to kill off the excess, and get past the hump on letting them go. Other than that, just going cold turkey, and powering through, until your body adjusts and the bacteria die off! 3) Salty Foods: This one is really interesting. Some people say they are just “salty” people, comparing themselves to the people who crave sweets. The thing is, they probably just have a different set of issues. It’s very possible that you are dehydrated. I know that seems backwards, you’d think you’d crave water, instead of something that is going to make you want more water, but salt helps you retain water, so your body is trying to help. As far a deficiencies go, you could be lacking in some salt, or chloride. Water and sodium create a balance in our body, and if you go one way or the other, your body will try to adjust for you. What might just seem like a deep desire for potato chips to you, may be a sign of a real imbalance. You can focus on getting your water in of course, the goal is 1/2 of your body weight in ounces each day. You can also include water rich foods into your diet, like fruits and veggies. Also consider celery, tomatoes, or olives to increase chloride levels. 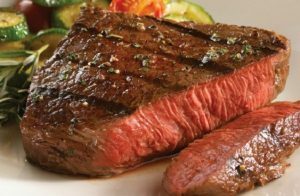 4) Red Meat: This one tends to come in the form of “omg I need a cheeseburger” so people often confuse it with a fat craving. If the burger part of that is really what you’re after, then it can almost always be traced to iron of B12. It’s very common during, or right after your period, or after a prolonged neglect of getting enough protein in your diet. Often women do not get enough protein as is, especially if they are lifting weights at all. So what do to? Honestly, unless you’re a vegetarian, just eat it. Don’t go crazy and have a huge burger with cheese, bread, fries, etc. of course. But lean game meats like buffalo, or lean beef cuts, are fine in moderation. If you’d like to skip the meat, consider adding spinach, strawberries, and almonds to your diet. Remember, get enough vitamin C too, so that the iron will absorb properly! 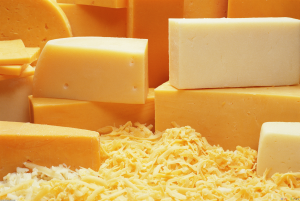 5) Cheese: Oh cheese. Why is it so hard to quit cheese? I went paleo in 2012 and that was for sure the hardest thing to part with. This craving will often show up in a craving for pizza, grilled cheese, cheese on eggs, and any other way cheese is melted. Now this one actually IS a fat craving, and should not be ignored. Fat is so vital to our brain, and organ, function, you want to eat enough fat. Omega-3 fatty acids are the ones we are usually lacking, although it can also be a signal of low calcium or vitamin D as well. I notice an increase in this craving when I do not take my fish oils daily, or in the winter, when the sun is gone and natural vitamin D is harder to come by. Definitely invest in a good, wild caught, fish oil, and make sure you are getting GOOD fats from foods like avocado, hummus, olive oil, coconut oil, fish and nuts. 6) Ice Cream: This one only showed up on a few lists, but there was a short phase in my pregnancy where I struggled with this hard. I’m not really an ice cream person, but I was obsessing over it. I just had to know why. Obviously sugar is what you think of right? Me too, but I found it was way more than that. Not only could you be craving the calcium, protein and fat, because you are deficient, but you can actually be using it to avoid heartburn, because you are thirsty, or even to calm inflammation. Have you noticed that Tums often have calcium in them? Not a coincidence apparently! My cravings went away when I added in a fish oil supplement and got the right amount of water in, so for me, I believe it was the fat and hydration I was after. You might need to experiment to figure out which of the complex possibilities are affecting you. 7) Candy: Candy. Yeah. Candy is my Achilles Heel no doubt. Not chocolate now, I’m talking about CANDY. Gummy, or sugar covered, or hard. Bright, fake, totally no redeeming qualities at all, sugar. Do not leave me anywhere near candy. Is that you? If so, you might have a blood sugar issue. I’m not saying freak out because you are diabetic, although you can ask your doctor about that. I’m saying, you may have a hard time digesting sugar and regulating insulin over time and you may need to learn to rely more on good fats, and proteins, to fuel your body, to help it out. That is a super easy fix in my opinion. Some emotional reasons you may want to be face first in the nearest candy isle, are that you need sleep, or you are stressing hard. That one pretty much applies to everyone in America right lol??? You may consider planning meals, and prepping them, in advance, for the week. This will not only give you more time each day to hopefully sleep or take care of yourself, but also save mental energy on deciding what to eat, and help you have food readily available when cravings hit. I have a course at www.LearntoMealPlan.com if you don’t how to do that, and there are many free meal plans online that can get you started! So what’s the long and short of it? Cravings NOT to give in to are sugar, processed dairy, and starches and processed food. Cravings to give in to are fats (good quality fats only), meat, oils, fresh/raw/cooked vegetables, whole foods, salty foods containing sea salt (always avoid “table salt”, and good quality dairy if you are comfortable with dairy.